On a conference call with city officials last year, deputy mayor Alicia Glen voiced displeasure with a proposed bill that would force Airbnb to share data with the city. Nonetheless, City Council passed the bill unanimously, and Mayor Bill de Blasio has since subpoenaed the short-term rental giant for that data. Glen’s inability to persuade City Hall to embrace tech companies like Airbnb reflected a divide between herself and City Hall’s entrenched political forces that marked her five-year stint in the administration, Politico reported in a review of Glen’s tenure based on interviews with more than 30 city officials, union representatives, lobbyists and politicians. Glen, a Goldman Sachs alum who stepped down in March, was tasked with spearheading de Blasio’s $82 billion housing plan. 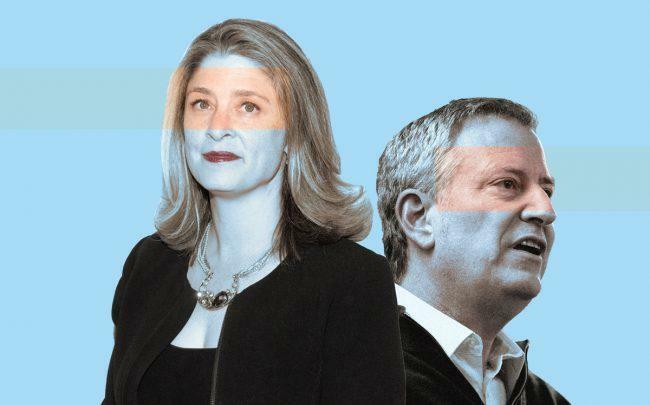 Glen’s embrace of 421a and real estate companies also pitted her against left-leaning advocates in de Blasio’s orbit. When de Blasio was scheduled to speak at the screening of a film that took aim at hedge funds like Blackstone Group, she reminded him that its executives Tony James and John Gray “have been among our most reliable folks in private equity/asset mgt.” Blackstone bought Stuyvesant Town-Peter Cooper Village with significant giveaways from the city in exchange for rent protections. One of her major achievements was the introduction of Mandatory Inclusionary Housing, which was pushed through City Council despite opposition from construction unions, activist groups and then-City Council Member Jumaane Williams, who is now the public advocate. At the same time, Glen’s influence was no match for that of the Hotel Trades Council, the force behind the Airbnb bill as well as a recent zoning amendment that would require special permits for hotels in manufacturing districts. The deputy mayor also faced challenges in her stewardship of NYCHA, which has now been put under federal monitorship amid mismanagement and scandal. Glen’s replacement, former housing commissioner and NYU professor Vicki Been, takes over the role on May 6.